The following camps have been accredited by the Scottish Hockey Holiday Accreditation Programme and meet the minimum operating standards expected from clubs. 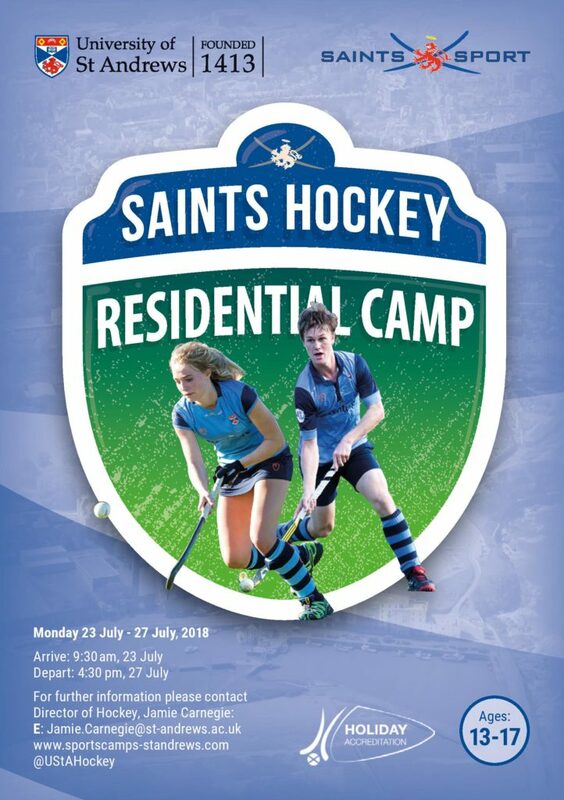 The University of St Andrews Hockey Club is running a week-long residential summer camp, so if your kids would enjoy a week of hockey and a holiday in St Andrews then check out their website www.sportscamps-standrews.com and even better, for Scottish Hockey members can enter code SCOHOC18 for £25 off (from the 1st of April). There is also a further discount of £25 per person when booking groups of 2 or more people at a time. Please select a section you would like to view.